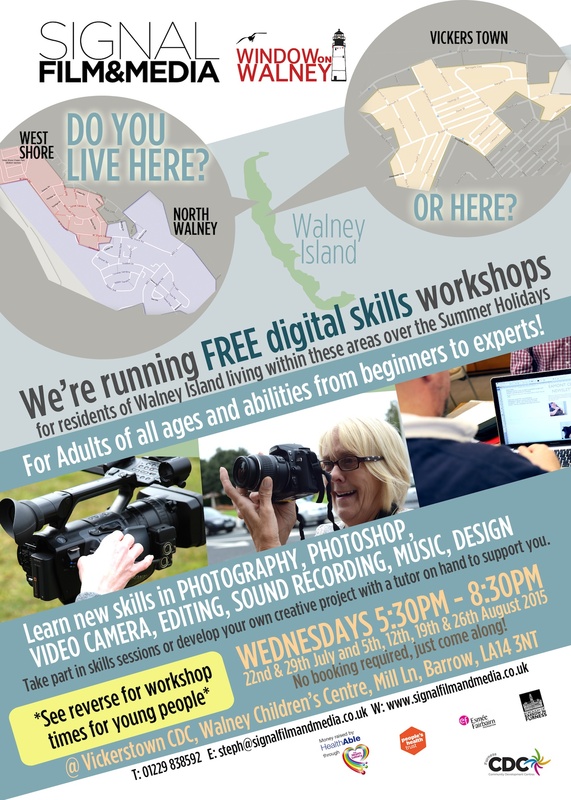 Are you living on Walney and looking for something to do this summer? 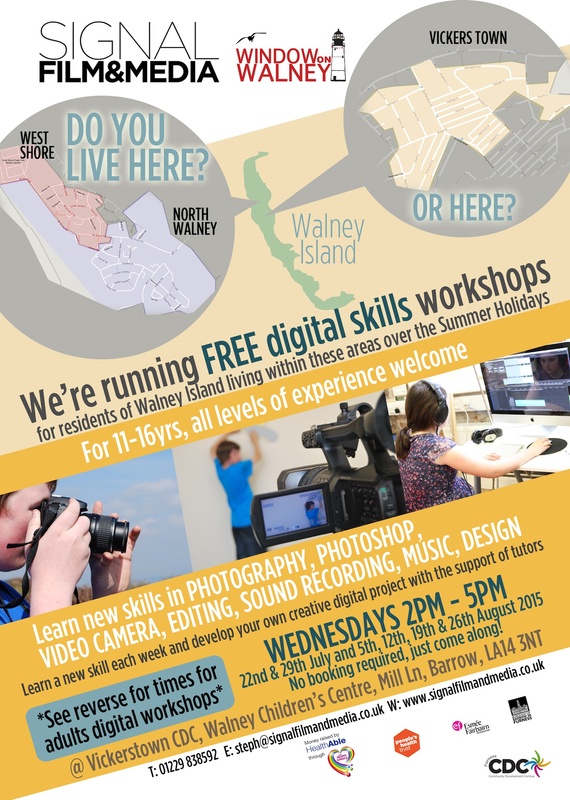 We’re offering free workshops for communities living on Walney Island. Last year we were successfully awarded funding from People’s Health Trust using money raised by HealthAble through The Health Lottery. This funding has helped our‘Window on Walney’ project gather and celebrate stories from right across the Island and the ages through workshops and community events. The free workshops for Adults and Teens will run on Wednesdays starting 22nd July for 6 weeks at the Vickerstown CDC adult education on Mill Lane (Next to the Post Office). Where Signal’s professional digital media practitioners will be there with help on hand. There will be young people’s digital workshops for ages 11-16s in the afternoons from 2-5pm and Adult drop-in sessions running from 5.30pm-8.30pm. The sessions are on offer for all abilities from beginners to experts, and will cover skills in photography, video editing, sound recording, design and music. Residents will have the chance to learn at their own pace in a very welcoming environment and the freedom to tailor the workshops to individual needs. Residents can take part in skills sessions or develop their own creative project with a tutor on hand to support. We’re really looking forward to working with people and meeting new faces and we’re keen to show them what we have to offer. The workshops will be held at the CDC centre on Mill Lane, which means just a short walk or trip for residents who want to get active and creative this Summer.